Becoming a parent is meant to be one of the simplest things in the world, and yet a far greater number of couples struggle to conceive than you could possibly imagine. Did you know that one out of every ten couples struggles with fertility? Did you know that the number increases when you include all of the couples who struggle to stay pregnant due to fertility-related issues? The fact is that while for the majority of couples getting pregnant is simple and takes a maximum of three to five months, for others couple's where there are fertility problems, it can take far longer to get pregnant. The issue with struggling to get pregnant is the fact that it has a long-reaching effect on your general wellbeing and happiness. When getting pregnant becomes hard work, it can have a huge impact on you and your partner and how happy you are as a couple. It can also impact many other areas of your life and can have a far and wide-reaching impact, which is why it’s so important to ensure that when the road to pregnancy becomes difficult, you know how to navigate it with minimal stress and worry. One of the most important things to realize when dealing with fertility issues is that you are not alone. The fact is that there are a lot more couples struggling to conceive than you would think, and it’s important to realize that. It’s easy to feel like you are the only people who are struggling to have a child, when actually that isn’t the case. However, it’s completely normal to feel like this, which is why it’s important to take steps to meet other couples who are also struggling to conceive. 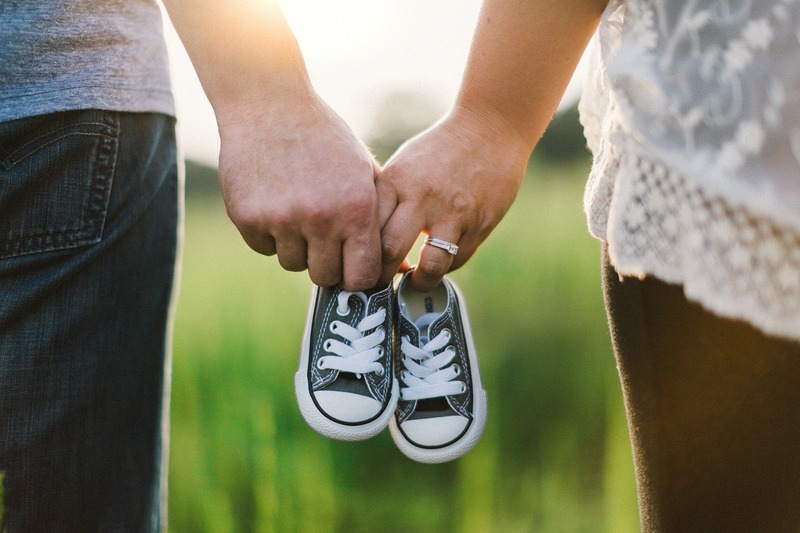 Did you know that there are plenty of support groups for couples who are struggling to conceive? You can find both in-person and online support groups to choose from, so there’s a range of options for you to consider. If your partner isn’t keen on one option, then perhaps you can do the other, and vice versa. A great source of support is often Facebook support groups because these groups tend to be really great spaces for chatting, sharing worries and venting frustrations. A key factor when it comes to struggling to conceive is research - the more you know, the more you increase your chances of successfully starting a child in one way or another. It’s important to understand that you have options and that it’s not just a case of trying and trying to conceive naturally and being unable to again and again. There are other routes that you can choose to go down, it’s just a case of being clued up about them, that’s all. Wondering what options you should be researching? Usually, taking certain supplements and trying artificial insemination is the first step that many people choose to take, so this is an area that it’s worth researching carefully. There are so many ways that you can do your research, however one of the best ways is via the internet as there are just so many different resources on there that you can utilize, from reading a surrogacy blog to using medical websites to learn more about the causes of your infertility. The fact is that the internet is an amazing resource when it comes to fertility, and is one that you don’t want to fail to utilize. An important part of understanding that you have options is taking the time to put a plan of action in place. For instance, if you are going to navigate the road to parenthood, it’s essential that you have a plan in place that you want to follow, such as trying X, Y, and Z before considering adoption as an option. Having a plan in place will help to make knowing when it’s time to make a choice and stop fertility treatment, slightly easier to do. Fertility struggles can have a huge impact on your mental health and general happiness, which is why it’s so important that you remain positive at all times. Just because starting a family is harder for you than it is for other people, that doesn’t mean that it’s impossible for you to get the result that you want, it’s just a case of understanding that it might take time. When it comes to trying to start a family, even when times are hard it’s important that you remain positive, because the more positive you are, the better your mental health and wellness will be. Navigating the road to parenthood isn’t always easy, sometimes it can be a real struggle. However, if you take note of the tips above, you can make the process of navigating the road of infertility a little easier.